June 19, 2006: Mixed a fluorescent dye (compatible with the size of the SureCoat 1007 molecules) into SureCoat 1007 and applied the solution to a piece of 4” thick concrete. June 21, 2006: Sheared the concrete test pattern piece to view penetration of SureCoat 1007. Using an ultraviolet forensic black light to highlight the fluorescent dye, we viewed penetration of SureCoat 1007 as deep as approximately 1” to 2 ½” into the concrete substrate. June 23, 2006: Sheared another piece off the concrete test block. Using the ultraviolet forensic black light to highlight the fluorescent dye, we viewed penetration of SureCoat 1007 had, over the time lapse since application, penetrated to approximately 2 ½” to 3 ½” into the substrate of the concrete. NOTE: Dense areas of the concrete test block did not show penetration as deep as did the portions of the concrete test block that were more porous. SureCoat 1007 was specified with no alternate being acceptable in the Reconstruction of the Corpus Christi Texas Seawall Project. Over a 5-year period, a new sheet pile watercap was installed on the entire length. A hot (160°F) applied plural component watercap was submerged in the salt water bay with only about 6” to 22”, depending upon the tide, above the water line. The concrete watercap constantly had a moisture content of 100%. In order to get proper adhesion of the polyurea and without pin-holing, the moisture content of the concrete watercap had to be lowered to acceptable rates. SureCoat’s 1007 was the only sealer able to do this. After proper surface prep, SureCoat 1007 was applied to the concrete. 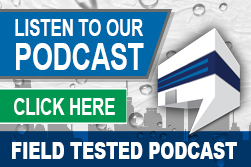 Within 72 hours, SureCoat 1007 locked the moisture in the concrete leaving the surface moisture content at an acceptable level to accept the hot-applied plural component polyurea without pin-holing. In March 2007, SureCoat 1007 Sealer was applied to approximately 46,000 sq ft of concrete at PPG Plant in Sulphur, Louisiana. SureCoat was called because the concrete was so porous that it seemed the only solution was to demolish and re-pour the entire slab. A person could, by scratching with very little effort with a screwdriver, penetrate approximately 1/8” into the concrete. On March 2, pull adhesion tests performed on the porous concrete read between 185 psi to 250 psi. SureCoat 1007 Sealer was applied to refusal to the porous concrete. After 24 hours, adhesion pull tests were once again performed in the same general areas. The readings were now 400 psi to 535 psi. 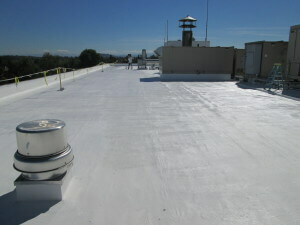 A hot applied plural component polyurea coating was then applied. One week later adhesion pull tests were once again done with the readings of 900 psi to 1200 psi. Some of the pull tests indicated more than 1600 psi when the adhesion dials broke loose from the polyurea coating. Polyurea, a highly chemical resistant coating, is a difficult coating for adhesion of pull test dials.